There are a lot of reasons that make a place creepy: it could be a terrifying history, the eerie sense of unease a place gets when abandoned or its ominous architecture. That however does not deter us, especially the adventurous type, from wanting to visit these places. There’s something fascinating about checking out a creepy place and the adventurer in us just wants to confirm that we don’t scare easily. 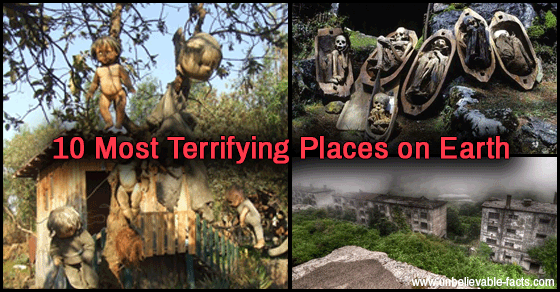 So just in case you are in the mood to taunt death in the future, Here are some terrifying places you can visit. 10. Island of the dolls in Mexico. A mine fire in Centralia has been burning since 1962 and has left the town abandoned almost entirely. The place looks like a cut scene from the Silent Hill game. In fact, Centralia was one of the inspirations for the game.